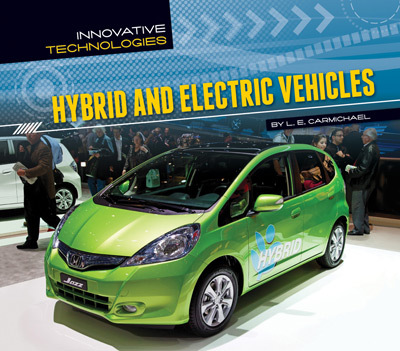 Part of the Innovative Technology series, this book covers the history of alternative vehicle technology and the breakthroughs that are making it competitive in today’s energy environment. A grade 8 reading level and lots of sidebars. Before I wrote this book, all my knowledge of cars had come from watching Top Gear. I did most of the research while taking care of my dad and his brand new hip replacement. I’ve got my eye on a Tesla for the day when my 2002 Tiburon gives up the ghost. "Th[is] series takes timely issues and gives older students a good grounding in the technical and historical basics. A strong point in the series is the inclusion if science content consultants for each book. There is a lot packed in each title, libraries might want to add the entire series."